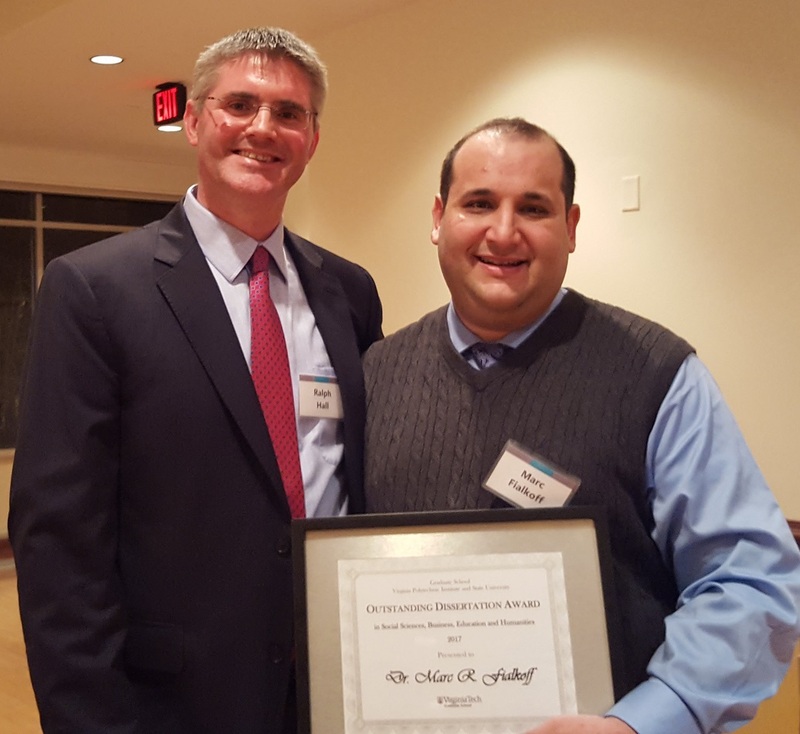 This evening I had the pleasure of attending Virginia Tech’s Graduate Awards Banquet where Marc Fialkoff received the award for Outstanding Dissertation in Social Sciences, Business, Education, and Humanities. This university-level award is a significant achievement and well deserved. 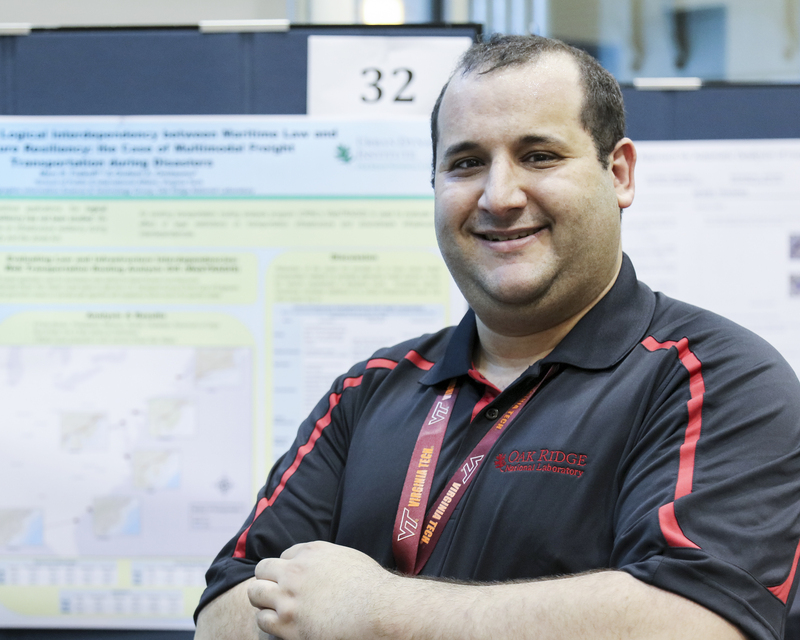 Marc’s research focused on quantifying the effect of the Jones Act restriction on freight transportation networks in the aftermath of Hurricane Sandy. 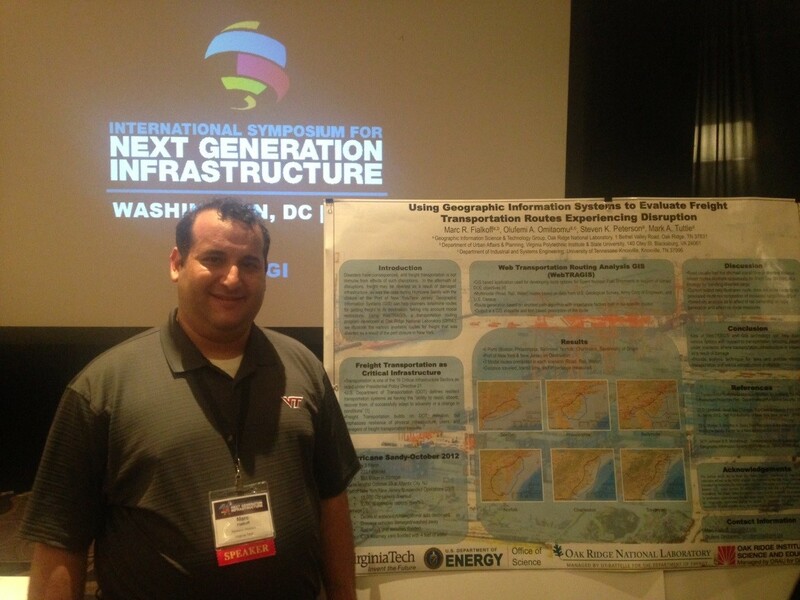 His research blended civil engineering, law, network science, and planning to analyze the impact of a law on critical infrastructure. 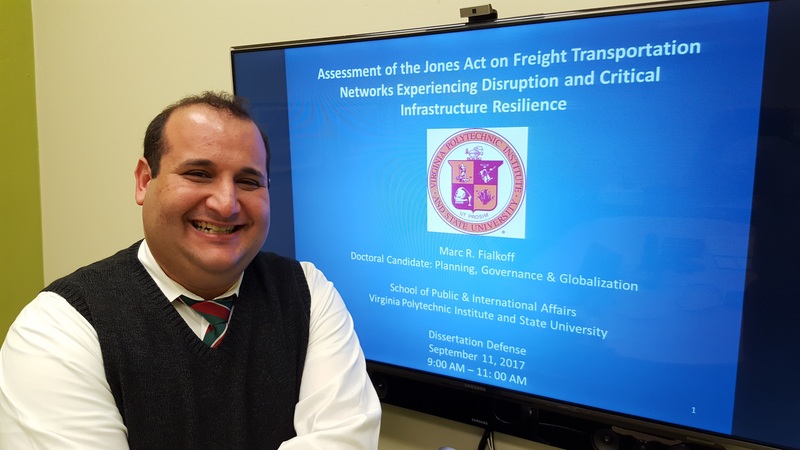 Marc’s committee represented the interdisciplinary nature of transportation policy, with committee members from Urban Affairs and Planning; Civil and Environmental Engineering; Law; and Network Science. I served as co-chair of Marc’s committee with Ralph Buehler, along with committee members Kathleen Hancock, Henning Mortveit, and Jonathan Gutoff. During the evening, Marc and I reflected on the life and legacy of one of my PhD advisors – Prof. Joseph Sussman – who sadly passed away on March 20, 2018. I had the privilege of knowing Prof. Sussman since 2000, and he served on both my Masters and PhD committees. Since I graduated from MIT in 2006, Prof. Sussman continued as a mentor and friend, providing insightful advice on my tenure process and was always keen to learn what was happening on the family front. Prof. Sussman also became a mentor to Marc, who included Prof. Sussman’s approach to CLIOS (Complex, Large-Scale, Interconnected, Open, Sociotechnical) systems in his research. Prof. Sussman fondly referred to Marc as his “academic grandson,” which provides a sense of how he approached his role as an educator and mentor. Prof. Sussman made MIT a home for his students, many of whom (including myself) were international and new to the American way of life. I know that my approach to advising has been heavily influenced by Prof. Sussman, who I’m sure is also very proud of what Marc has been able to achieve.